Can my son/daughter join in? Afraid not - due to the nature of what we do (meeting up outside, not having qualified coaches, informal training) we have an age limit of 14. Is it like on TV where people jump off roofs? 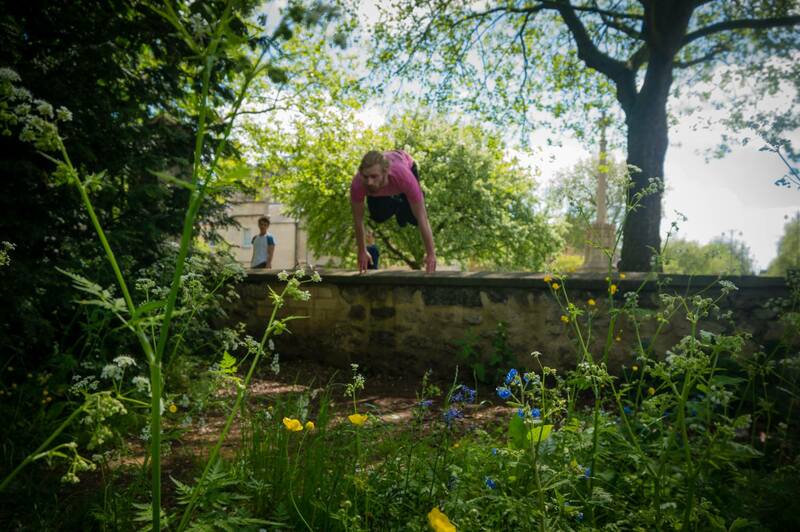 That's probably people doing parkour yes, but that's not what even their typical day's training tends to be like. 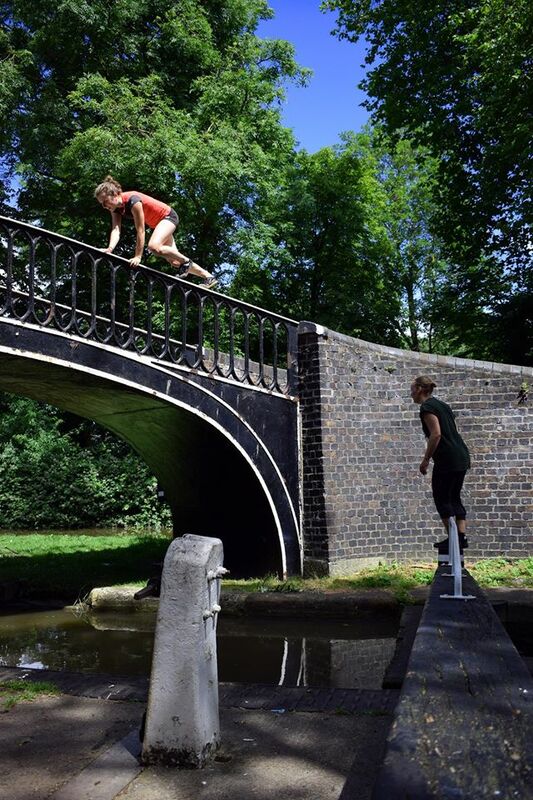 We make a concious effort to only train in areas with public access and never tresspass, so this makes most rooftops off limits. Besides, you will be amazed just how many challenges you can find at ground level! 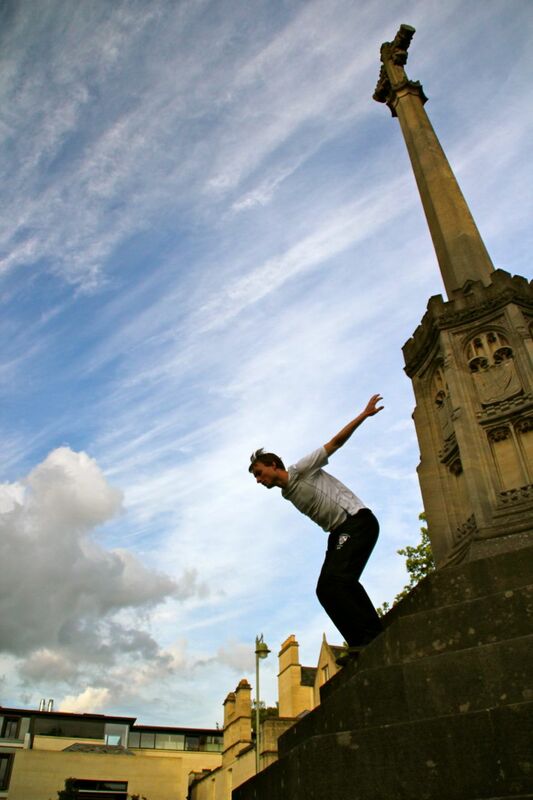 Is it the same as freerunning? In short and for the purpose of this group, yes. 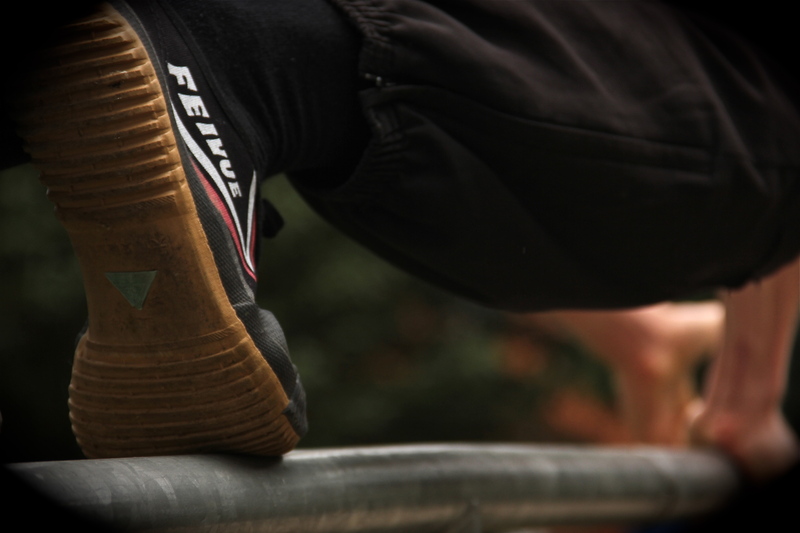 Some people consider freerunning to be a different style of parkour with more flips and tricks and flair, but it doesn't really matter. That's fine, give it a try anyway! 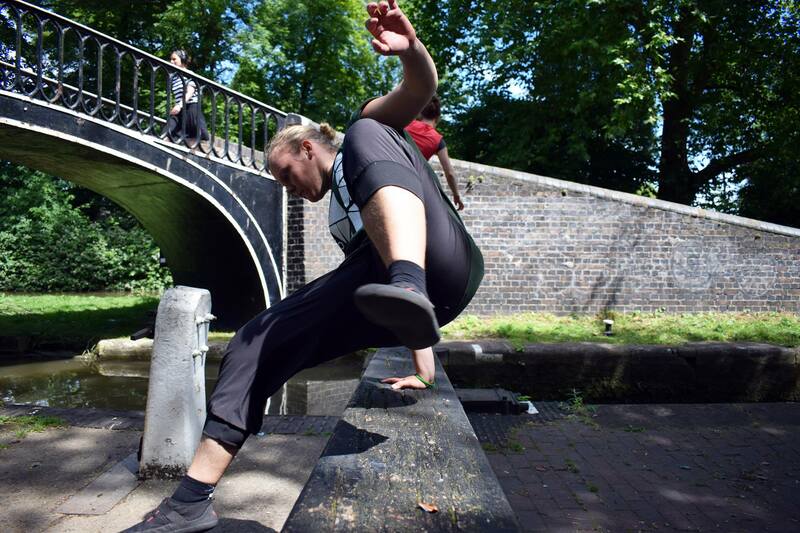 Parkour is all about improving yourself physically and mentally and this can be from any start point, whether you've been doing gymnastics since you could walk or your weekly exercise is walking to a shop. Certain things will be harder, but it isn't about being better than anybody apart from yourself. It doesn't matter where you start, only where you want to go to. Give it a try and find out! I think you get a lot more out of life by stepping outside your comfort zone and trying new things. You've got nothing to lose and you aren't going to be forced to do anything you don't want to do. It looks really dangerous: is it? You probably won't believe me when I say this, but it isn't. 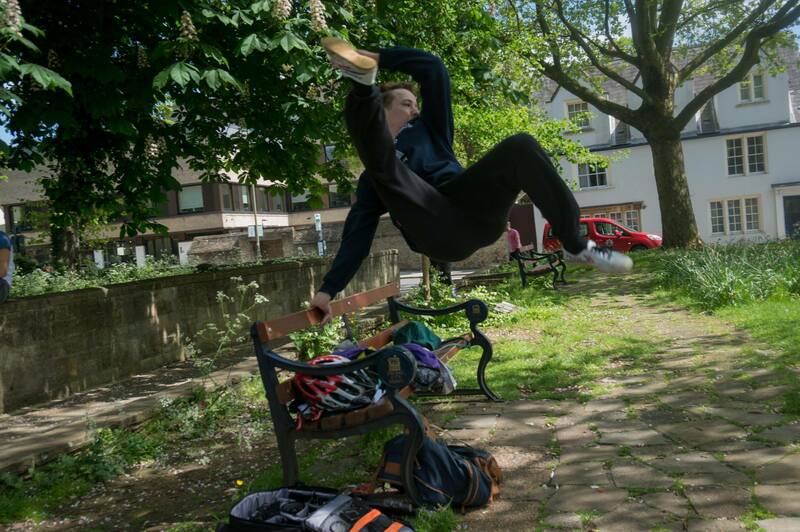 Of all the different sports and exercises I've done, parkour is actually the one I've been injured in least (!) - from running I've sprained ankles and torn muscles; from rugby I've had various cuts and bruises; from basketball I've sprained ankles, hurt my fingers and got nosebleed; etc. 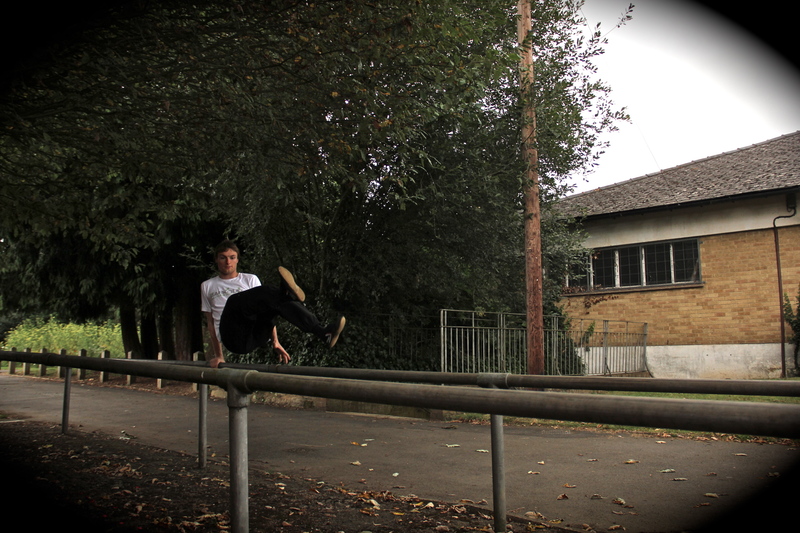 Yet in the time I've been doing parkour all I've had are scrapes, cuts and bruises. 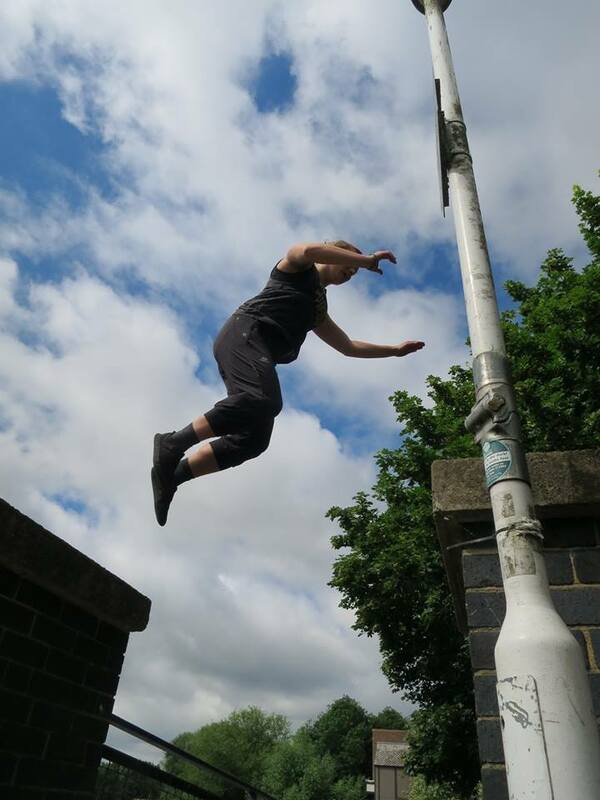 I can't deny that there are risks inherent in what parkour is about, but a large part of parkour training is about knowing your limits and staying within them (while trying to push your limits too). I've seen a fair few injuries from it, but most are as a result of poor training practices and people trying things that they weren't ready to try. 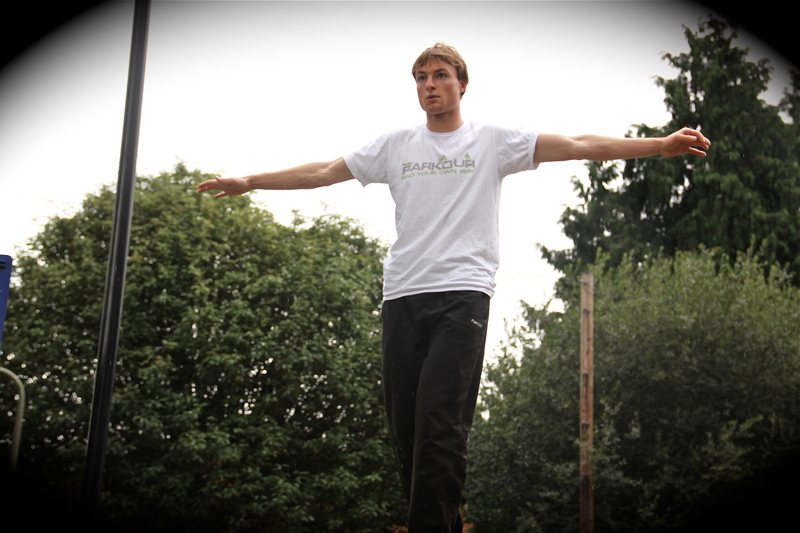 We aren't going to throw you off a roof or make you try a flip - you only do what you feel comfortable and able to do. 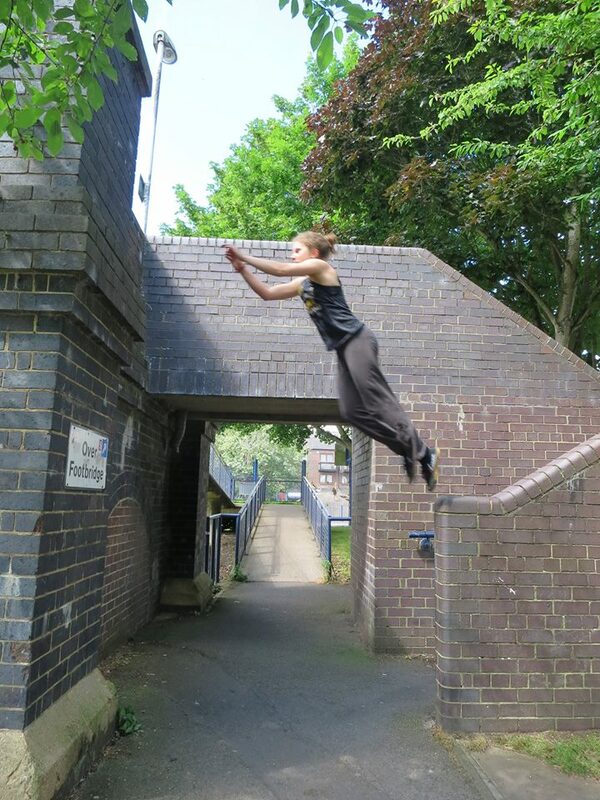 People perceive parkour as dangerous because they think of what would happen if they tried what they saw. But when a practitioner does something, it's something that they've practised and trained. This is the same as driving - it's dangerous to put somebody in a car and tell them to go, but once people have taken lessons and been on the roads for awhile it's fairly safe. 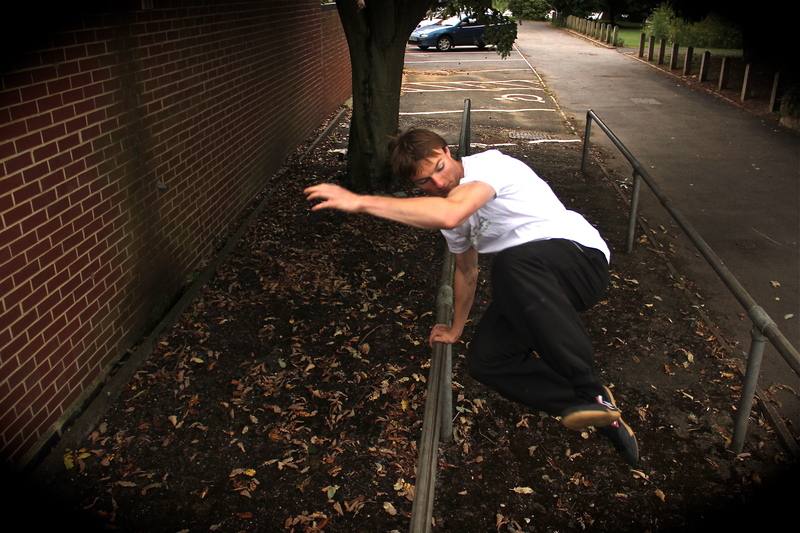 Parkour is practised in a controlled environment (you moving round an environment), which removes a lot of the random danger element other sports have. In short: though cuts, scrapes and bruises are inevitable, you'll probably only get seriously hurt if you try something that you should not have tried (and usually, fear stops us well before this point). A back flip is a great skill to learn! 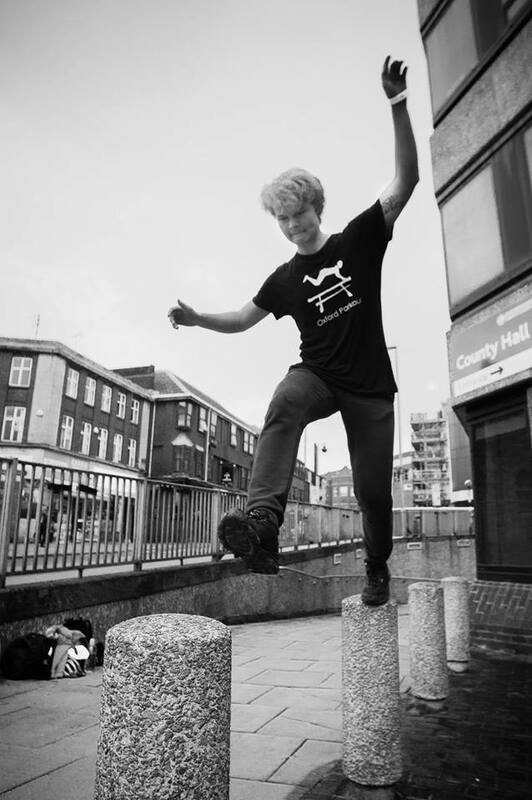 However parkour isn't primarily about the tricks, so it's important that everybody gets a grasp of the basics of it first. 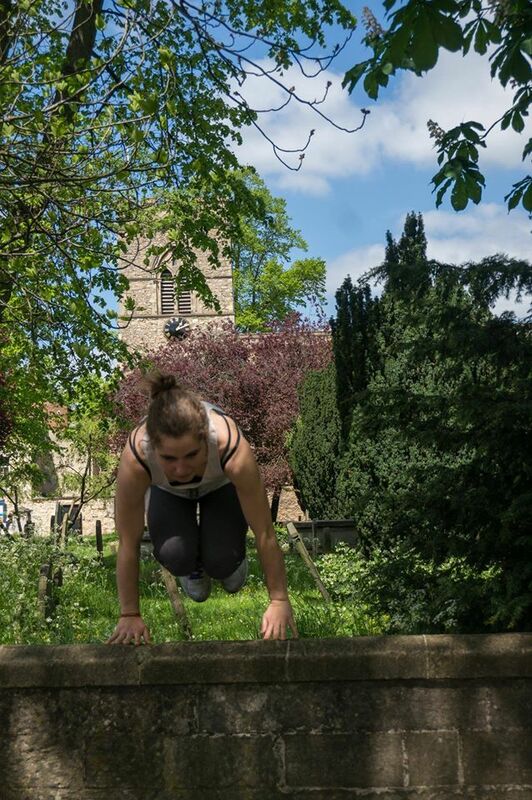 Having said that, we do organise visits to the local gymnastics facility from time to time, which has a foam pit, padded mats and a selection of other equipment, in order to practise the movements which hold too much inherent risk, to be learned outdoors. That's down to personal choice, but give it a try and see what you think. Personally, I prefer it to other sports because there's more to it. 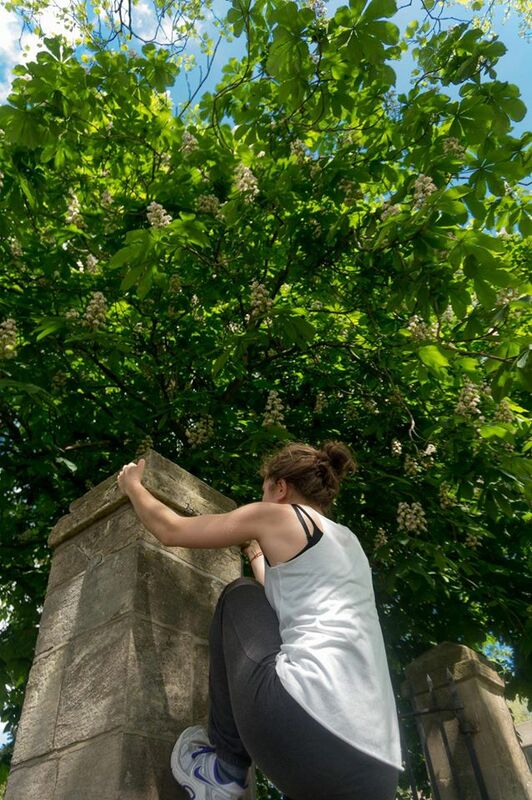 Though athletics is about pushing and improving yourself and rugby is really good fun, I like the mental side to parkour, which I haven't found in any other sports in the same way. You learn a lot about yourself and develop in a spiritual sort-of way as you learn to overcome your fear and push yourself, and I find that a lot more rewarding. 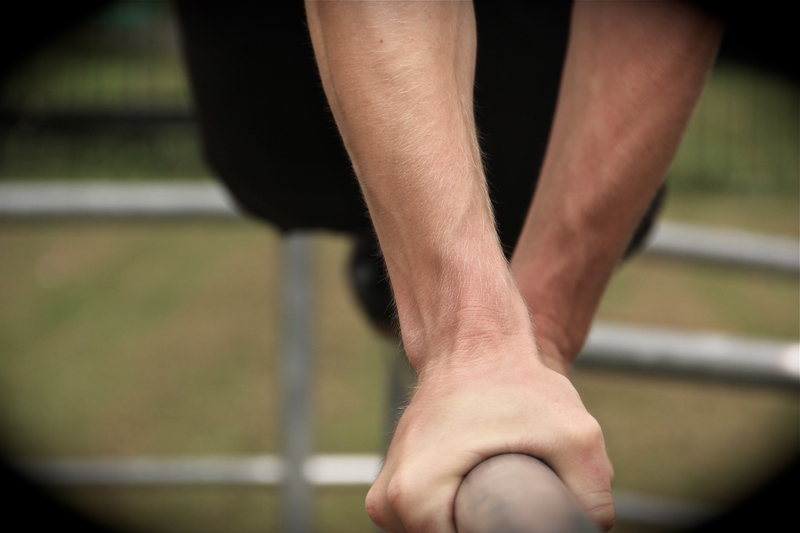 It's all about facing your fears and weaknesses, and because it's quite a personal sport it's hard to hide from them. Also, it's much more fun for keeping fit than just running or going to a gym. Getting involved is easy! Check our Sessions page to see when we are training, or join our community on Facebook.